You will be able to find some weapons in the Division just near the skills. Weapon can be used for doing damages and attack different enemies. In the Division there are 5 kinds of weapons: SMG, DMR, Assault Rifles, Shotgun with a sidearm and LMG. Each type of weapons has various stats, rarities, but you can apply the different skins for making all of them more cool and unusual. 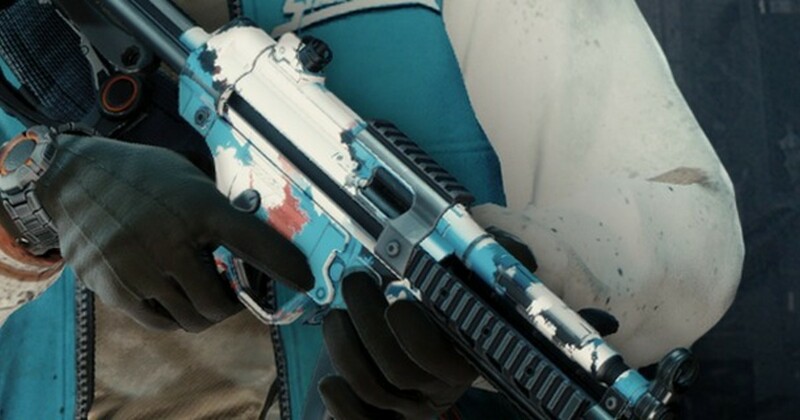 The skins for various weapons are rather rare besides that it’s very difficult to find them on your map. You have to hunt out and explore the territory. Besides that you must have patience and a little luck. There are the locations of Weapons Skins to help you to explore successfully. In this game you will meet civilians throughout your way. They always need food, help, water or defense. You are able to help them with it and they can give you some kinds of clothes and small consideration. Besides that they have the slight chance to drop some types of the skins for weapons. But it is so slight that it is not worth to go out of your way for finding locals. Help civilians only if you face them. In this case you have no guarantee to get skins for your weapons but different enemies have a minor chance to drop them. You will have more success if you play your mission on hard. On the whole only the bosses and stronger (elite) enemies can have a real chance to drop the skins fo weapon. You will be able to receive new skins for various weapons in every 24 hours. For it you have to improve your supply lines in the Security Wing on the territory of your base and to get the Vendor. It will allow you to have cool skins every day and it is guaranteed. But you must check it daily. You will be able to buy some clothes here of course. You will be able to get some kinds of skins from this vendor, each of them has unusual visuals. You have to go for it to the Vendor of the Dark Zone and receive the high-ended weapons that will give you some skins along with them.